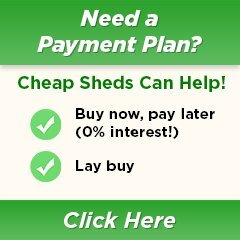 EasyShed provides a quality bird aviary range for your native, domestic or hobby birds. We deliver Australia Wide including Tasmania. You can choose between Depot Delivery or Home Delivery! From your family pet cockatiel and budgies to the serious breeders or all sorts, we provide the best in the range so you can give them a suitable home. The most important thing about EasyShed bird aviaries, is they are safe and secure. 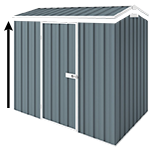 Designed and engineered to meet the Australian safety standards and guaranteed to protect your birds from bad weather. So if you need a new home for your birds and want a product you can trust, shop from the EasyShed aviary range below. Please consider carefully the Location & Insulation of your aviary and pet-shelter. Avoid areas which are exposed to direct sunlight, harsh winds & heavy rain. You want to manage the temperature to make sure your pets are safe and comfortable. NOTE: All EasyShed Colour products come with Off White Channels / Trims.